We’re uncertain of where to begin in terms of budgeting for our wedding. How much does a wedding cost in Barcelona? When you consider having a destination wedding it is important that you are realistic at the time of determining your wedding budget. 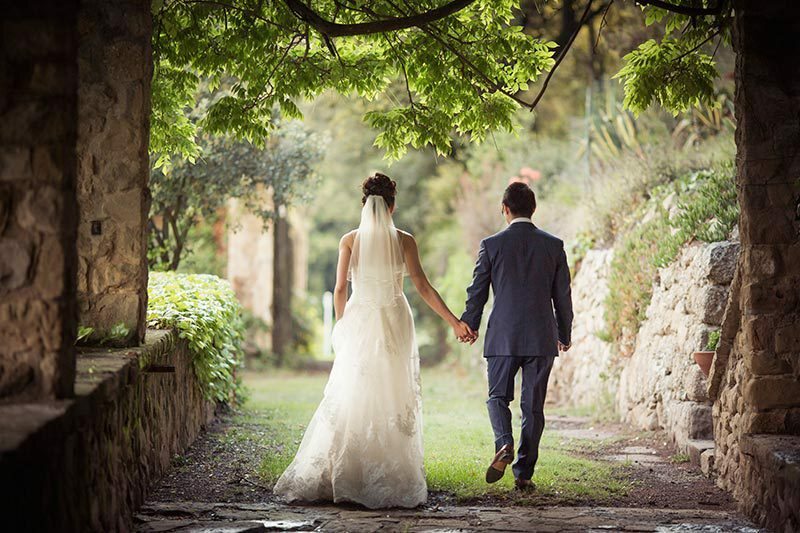 Many foreigners believe that wedding services in Spain are affordable and cheap; however, after having adopted the Euro as the main currency back in 2002 this is no longer the case. A Spanish wedding is a drawn-out affair, with the reception lasting over 10 hours as opposed to the 5-hour wedding reception that is customary in the USA, for example. A traditional Spanish wedding revolves around the meal; you will definitely get more value for your money and you are guaranteed a truly unique wedding that will have your guests talking for years to come however it is important for you to take into account what the overall costs for a wedding will be. 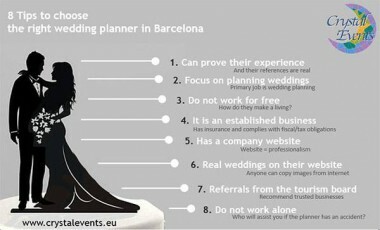 So, how can you determine what the realistic costs for your destination wedding in Barcelona are? Your wedding budget should include all pertinent fees, catering costs, services and any other hidden costs, if applicable, as well as the cost per person calculated for the number of guests that will be attending. Every region in Spain has its peculiarities so it is imperative that you determine your wedding budget based on realistic Barcelona prices, rather than based on what the realistic prices are for a wedding in your country, in order to avoid disappointments and unpleasant surprises later on in the planning stages. Catering: This cost, on average, is 150€ per person including beverages. Approximately 70%-80% of your total wedding budget will go towards the catering aspect of the wedding. 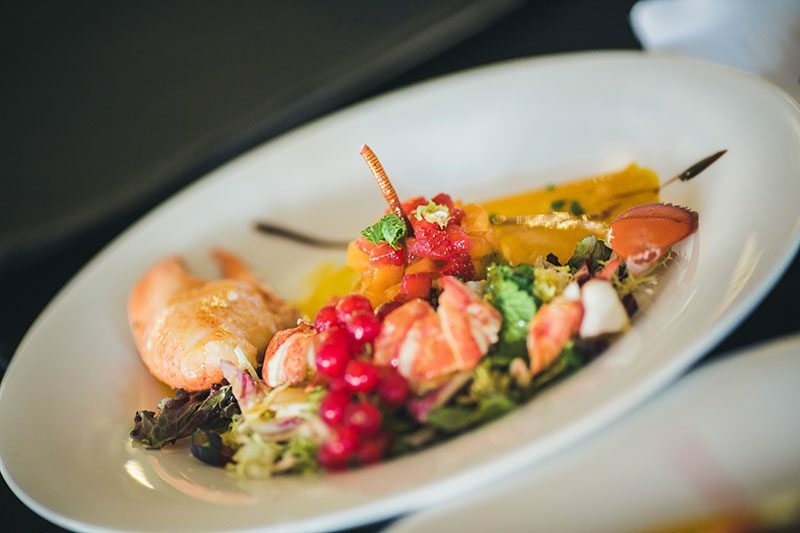 This is due to the fact that caterers in Spain provide everything related to the reception – the per person price is not just limited to the food. Among other services, the linens, cutlery, crockery, staff and all necessary kitchen equipment are built into the price. Feel free to read the detailed articles I wrote about costings for this specific wedding service here and here. 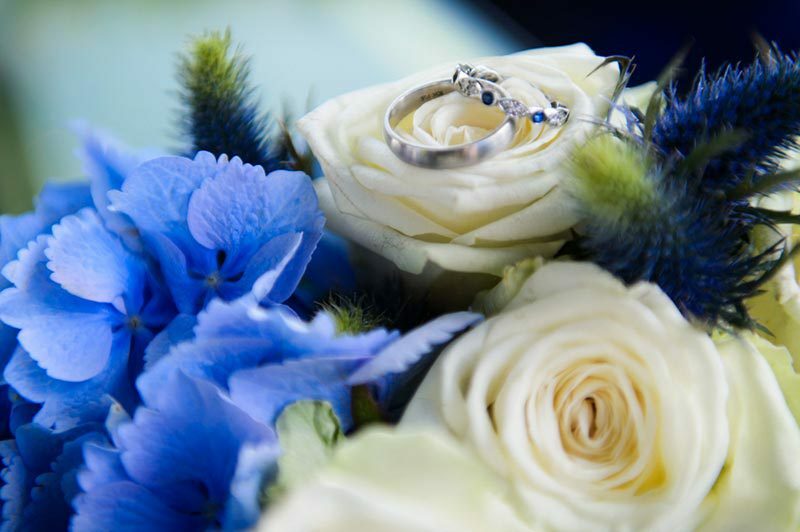 Rental fees: There are certain venues that charge a rental fee for exclusive usage of their venue, with the Couple outsourcing all of the providers needed for their wedding. There are other venues that do not charge a rental fee and instead build it into their in-house catering costs. Furthermore, there are venues that allow various weddings to take place at the same time, thereby sacrificing intimacy of the venue; however these venues do not charge a rental fee nor do they build it into their in-house catering pricing. On average, a venue rental fee can range from 3.000€ to 12.000€ depending on the day of the week, the month of the wedding, and the different areas of the venue that will be utilized for your wedding. Ceremony: The fees for a ceremony vary tremendously if it is a religious ceremony or a symbolic ceremony on the reception venue grounds. Religious Catholic ceremony: On average, a Catholic Church wedding entails a donation ranging from 300€ to 700€ payable to the Church, as well as a donation for the Priest, which is between 250€ and 350€. Symbolic ceremony: If the ceremony is symbolic, the venue may include an additional charge for having the ceremony there prior to the reception – which can range from 400€ to 3.000€ on average. Furthermore, the Couple will have to source chairs for the guests, which range from 4€ to 25€ per chair, plus transport. Lastly, the Officiant for the symbolic ceremony charges on average between 300€ and 600€ – unless you require an Officiant who is fluent in a language that is not widely spoken in which case the fees would increase. Photography and videography: A professional photographer and videographer service specialized in weddings range from 3.000€ to 6.000€ on average, providing a package deal for photo + video. Florist and décor: With this service, the sky’s the limit! Given that each flower has a specific cost which fluctuates depending on the time of the year that it is in season, the pricing of floral decor can vary tremendously. As an average cost, a Bride’s bouquet ranges from 120€ to 150€, and centerpieces for the dinner tables can range from 65€ per table for a simple greenery and tea candles centerpiece to 1.000€ per table for an elaborate, intricate and lush centerpiece. All other florals needed for a wedding such as altar centerpieces for a religious ceremony, a ceremony canopy (or mandap or chuppah), pomanders for chairs, rose petal cones, appetizer tables décor, fairy lights, hanging greenery, etc… can increase your décor costs from 3.000€ to 20.000€ or even more! Entertainment & AAVV: On average, the cost of a professional Dj in Barcelona ranges from 960€ to 2.000€ including all technical equipment and standard lighting for the dance floor. There are Couples who choose to have a soloist play during the ceremony or during the appetizers; the cost of a professional Spanish Guitarist, for example, starts at 375€ for 1.5hours. If you would prefer to have a live band playing at your wedding, the costs range from 2.500€ to 10.000€ for a 4-piece band including all technical equipment. Other AAVV equipment or other kinds of equipment such as a dance floor, façade lighting, flooring, etc….can increase your wedding costs from 2.000€ to 25.000€ or even more! Bride and Groom’s luxury car: Pricing varies tremendously depending on the type of car that the Bride and Groom will have for their wedding day. There are Couples who want a vintage car, others prefer a contemporary, convertible Rolls Royce and others want something even more unique, such as a horse and carriage. On average, the pricing of a Mercedes E-Class luxury car service within Barcelona ranges from 250€ to 450€. This cost will increase if the luxury car has to travel outside of Barcelona and if the car service last more than 4 hours, or if you want to have a more luxurious and unique car service. Transport: The pricing of guests’ transport to and from the wedding venue will vary based on where the pick-up and drop-off points are, as well as the distance travelled and the hours of the transport service. Furthermore, a shuttle service running continuously from the venue to the drop-off location will increase costs significantly, but as an average cost you should allot approximately 500€ per coach for a pick-up and drop-off service taking your guests to the wedding venue and taking them back to the hotel at the end of the party, within a 20km range outside of Barcelona. Hair & makeup: The hair and makeup service for the Bride can also vary significantly based on if you will require a hair and makeup trial prior to the wedding and want the hair and makeup artist to come to your hotel, or if you go to a salon. If you go to a salon it can cost around 120€, without a trial, for hair and makeup. On the contrary, if the makeup artist comes to you the costs are within the 300€-450€ range depending on the type of service that you require. Wedding Planner: If you are considering hiring a wedding planner for your wedding, I recommend you take the time to read the article I wrote about how to choose the right wedding planner for your wedding here and about the importance of having a professional wedding planner here – I guarantee it will be worth the read and will help you avoid making very, very costly mistakes!! (Not only in terms of money invested but also in terms of stress, headaches and unpleasant surprises along the way…) As for pricing, as you contact different wedding planners you’ll see that the pricing varies tremendously – some even say that they work for free! – but if you are looking for a professional, reliable and experienced wedding planner to plan your destination wedding, who has a reputable service, that is officially an established business, is specialized in destination weddings and has a team of service providers offering the same excellence of service to their Couples as they do, you should allot between 4.000€ and 7.000€ in your budget for this service. These are the basic costs you should account for when budgeting for your Barcelona destination wedding. But don’t take our word for it! To ensure that the budget that you have allotted for your destination wedding is realistic and the quotes that you have received for your wedding are fair and reasonable, I recommend to do a cross-check using other sources. 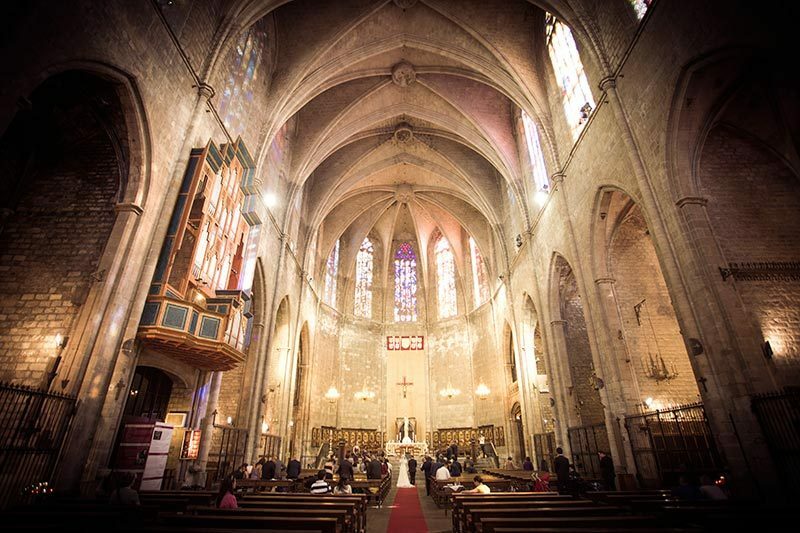 You can contact the Barcelona Weddings Department of the Barcelona Tourism Board here for a breakdown of pricing of a wedding in this region. You can also contact the Spanish Tourist Office in your country, for example, for estimated pricing of wedding services. And if you have friends or co-workers who have gotten married here, definitely contact them as well! They will have lots of insight about costings. Bear in mind that pricing in other areas of Spain can vary. There will be services that are more expensive, and others that are much more affordable. And don’t let anyone fool you into committing to their service just because they are cheap or are saying “yes” to doing the wedding on your wedding budget. If 9 out of 10 providers within the wedding industry are telling you what the realistic costs of a wedding are, then that’s because that pricing is the average cost of that specific service in Spain. If the price is so low that it seems “too good to be true”, that’s because it usually is. So before you commit to anything based on pricing, make sure you read the fine print first. The most important thing to keep in mind at the time of determining your destination wedding budget is if the budget that you have allotted for your wedding is realistic for the destination that you’ve chosen, so that you don’t find that later on in the planning stages you have to increase your budget, reduce your guest list or change your wedding vision. Enjoy planning your destination wedding! NOTE: Pricing does not include IVA (VAT/TAX). How to choose a wedding planner? How do I know which one is right for us? This video is filled with tips to find the right Wedding Planner for your wedding – whether you are having a destination wedding or wedding right at home. Enjoy! Plan a wedding and stay sane? Mission impossible, right? Wrong! This video is filled with tips to help you stay sane while planning your wedding – and savor the process. Enjoy!